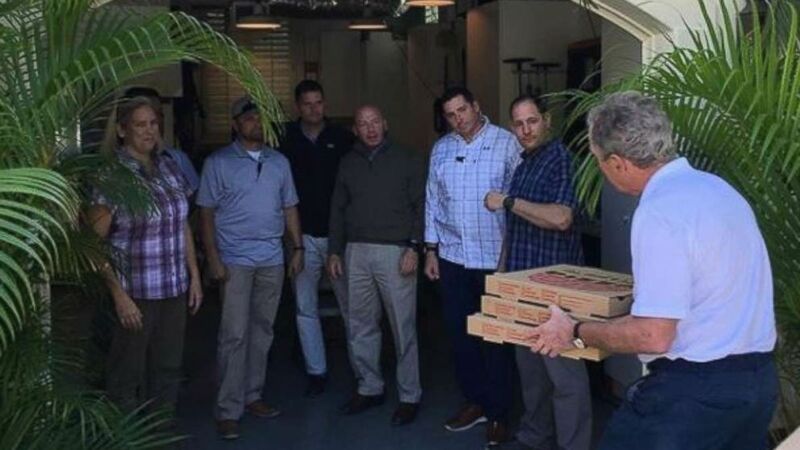 George W. Bush played pizza delivery man for a day as he handed out several boxes of pies to his Secret Service detail — currently working without pay during the partial government shutdown. The 43rd president of the United States also made a political statement, an unusual occurrence in his time since stepping away from the office at the same time. Bush, along with first lady Laura, thanked the Secret Service personnel in an Instagram post Friday afternoon. He’s seen carrying three pizzas, with another three boxes on the way, for the unpaid personal protectors of the former president. Exactly how Bush wants the shutdown showdown to be solved remains a mystery. There is no love lost between No. 43 and the current president, despite being fellow Republicans. Bush, who lives in the border wall battleground state of Texas, signed the Secure Fence Act into law in October 2006, and called it “an important step toward immigration reform.” The law paved the way for hundreds of miles in border fencing and doubled the funding for border security — but Bush has been mum on Trump’s push for a border wall. As the shutdown enters its 29th day on Saturday, Secret Service personnel are among the hundreds of thousands who aren’t being paid. Former President George W. Bush speaks during a memorial service for Sen. John McCain at the Washington National Cathedral in Washington, D.C., Sept. 1, 2018. Don Mihalek, the Secret Service representative to the Federal Law Enforcement Officers Association, confirmed to ABC News that cash advances are not being given out and official credit cards are not being paid for through government invoice channels. All former presidents have lifetime Secret Service details thanks to a law signed by President Barack Obama in January 2013. It had been rescinded to just 10 years post-office in 1997. ABC News’ Luke Barr and Josh Margolin contributed to this report.